I'm sure this is why men "home teach" and women "visit teach." I dunno. 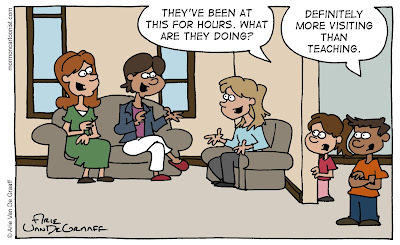 Take it from a teacher, we men spend a lot of time visiting too. Home teaching is just a way to make good friends with people in the ward. Yes, I am a teacher even though my username is DeaconsRule101. I was actually wondering about that. You might want to think about changing your username (although you might want to wait another couple of years and claim PriestRule101). 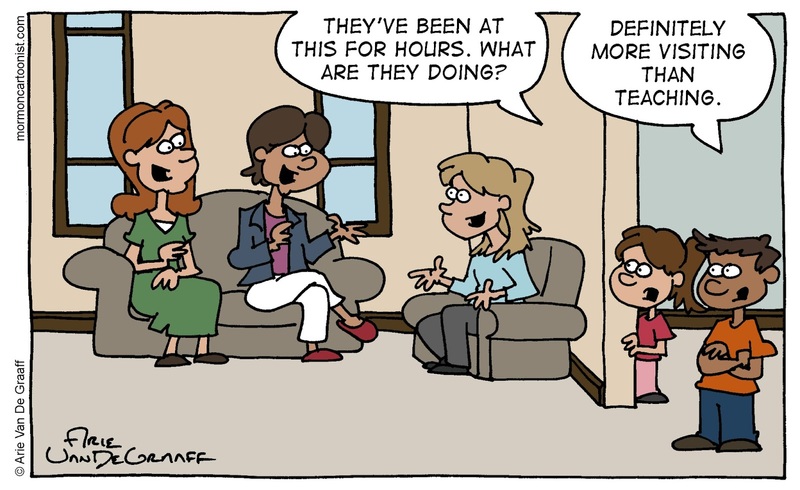 And I remember home teaching as a teacher and feeling like a half hour visit lasted for hours too. As I regularly pull 13-hour days (including travelling) I 'visiting teach' via e-mail and DO actually teach my assigned teachers with a regular monthly message. It's proving popular!